DescriptionElegant white balloons designed specifically for a baby’s Christening. Enhanced with simple gold lettering, these stylish balloons offer a quick and easy way to decorate your party. Each pack contains 8 White Balloons. 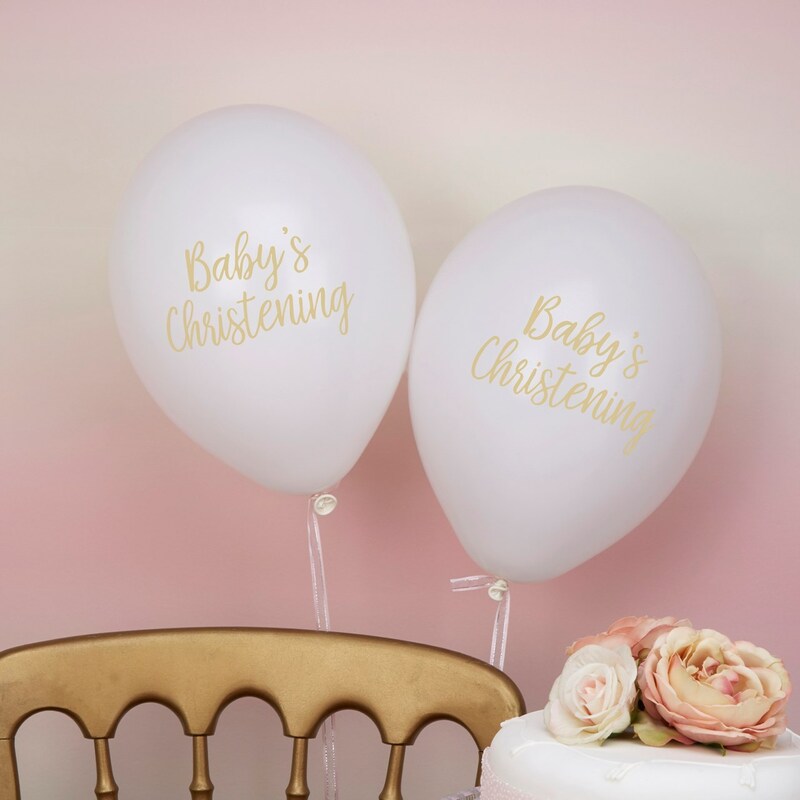 Elegant white balloons designed specifically for a baby’s Christening. Enhanced with simple gold lettering, these stylish balloons offer a quick and easy way to decorate your party. Each pack contains 8 White Balloons.